Published on March 09, 2016. Here's one reason it's hard being a big beauty brand: If you are Olay, Lancome, or Clinique, you probably will never get Jimmy Fallon to eat your skin cream on TV. But the "Tonight Show" host gladly ate Gwyneth Paltrow's Goop last week. The organic skincare line created in partnership with Juice Beauty has been all over beauty blogs of late, and it's Ms. Paltrow's "24/7 focus right now," she said in a "Today Show" interview last week during her tour of NBC news and entertainment properties. But just as amazing as Mr. Fallon eating skin cream was that he induced Ms. Paltrow to eat a McDonald's french fry, if only to dip it into her face cream to get a taste. 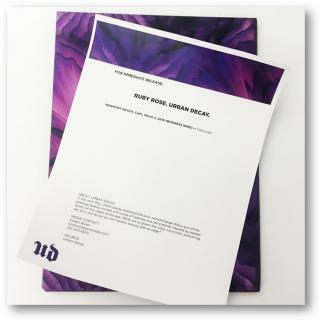 Urban Decay is a beauty brand that takes Goop off no one. So when it announced last week it had signed Ruby Rose as an endorser, it issued a release of notable brevity: Just the headline: "Urban Decay. Ruby Rose," followed by a Newport Beach, Calif., dateline and the word "Obviously." There was also boilerplate about Urban Decay, launched in the mid-1990s and "inspired by the seedier facets of the urban landscape." A billboard showcasing Ms. Rose went up that day in the urban, if not decaying like it once was, landscape of Lower Manhattan (the first billboard ever for the brand, which was purchased in 2012 by L'Oreal). The Australian model, actor and former MTV DJ may at first blush seem as seedy and urban as Newport Beach. But Ms. Rose has done hard time recently as an inmate in Netflix's "Orange is the New Black." Millennials, and for that matter their parents, grew up watching "Sesame Street." Now they can wash their kids in it, too. The Village Co., formerly known as Minnetonka, has launched a line of 90%-100% naturally derived bath products featuring Elmo, Ernie and others at Target and Target.com. The line will be backed with social media marketing, and a share of proceeds will go to advocacy group Autism Speaks. Meanwhile, Target competitor Kohl's is stocking a new line of lotions and potions from high-end baby goods retailer Giggle. The Manhattan-based brand is releasing its own line of skincare and cleaning products made in the USA. The 10-product collection will be available at 100 Kohl's stores nationwide, some specialty stores and Giggle's own seven stores. The company, which recently acquired baby gear and apparel brand Right Start, is considering an influencer program and celebrity seeding in order to spread the word about its new line. The NCAA has two auto brands that are official sponsors: Buick and Infiniti. But that is not stopping another automaker from doing some March Madness-related marketing. Toyota-owned Lexus is a presenting sponsor of Yahoo Sports "Tourney Pick'em." As part of the deal Lexus is launching "GS F The Bracket," a branded game connected with the hoops tourney beginning next week. Fans are asked to pick which games will reach a combined 60 points the fastest. That is a play on the fact that the Lexus GS F model goes from 0 to 60 miles per hour in 4.5 seconds. A digital campaign will include display ads, pre-roll video ads and branded integrations, and native ad placements, according to Yahoo. But an introductory video carefully avoids trademarks that require NCAA approval. Forbidden phrases include "March Madness," "March Mayhem," "Elite Eight," "Final Four," and "The Big Dance," according to a trademark guide posted by the NCAA. Berkeley, Calif., is a nuclear-free zone, though that probably couldn't prevent the federal government from putting a missile silo in the middle of the University of California campus if it wanted to. It's also a place that requires cellular service providers to provide point-of-sale warnings about radio-frequency safety. The Association of National Advertisers has filed a friend-of-the-court brief in support of CTIA-The Wireless Association, which wants an injunction against that ordinance, saying it violates federal law and the Constitution. In a statement, Dan Jaffe, group exec-VP of the ANA, called the Berkeley law a "gross overreach" that violates advertisers' first amendment rights by compelling speech, and that it would force wireless companies to wrongly imply the FCC believes cellular transmissions are dangerous. Companies focused on organic and natural products are in Anaheim this week for the annual Natural Products Expo West convention. Early news from the show includes big packaged food companies continuing to push into the market to reach consumers interested in natural and organic fare. Campbell Soup bought baby food maker Plum Organics in 2013. At Expo West, Plum Organics is showing off its first infant formula, made with organic lactose. According to Plum Organics, organic formula is growing at a 30% annual rate, while the rest of the category is in the low single-digits, at best, though it remains a very small part of the overall market. 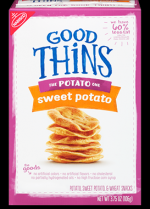 While snack maker Mondelez International does not appear to have an overall company booth at Expo West, it picked this week to launch Good Thins, which it is touting as its first new snack brand in over a decade. The baked products are made with ingredients such as potatoes, chickpeas and rice and do not contain artificial flavors, artificial colors or high fructose corn syrup. The Good Thins launch comes after Mondelez last year bought free-from-allegens Enjoy Life Foods, which is planning to exhibit at the show. Hain Celestial Group said it plans to feature more than 100 new food, beverage and personal care products at Expo West. Its new items include Terra Real Freeze Dried Fruit and Celestial Lattes' Dirty Chai Tea Espresso K-Cup Pods done with Keurig. Smaller companies are also making tweaks as they try to stand out in an increasingly crowded market. Way Better Snacks, for example, updated its packaging as better-for-you chip brands crowded store shelves. According to the company, the new look tested significantly higher in a consumer survey. It's already a busy year for luggage brand Tumi Holdings. Last week, Samsonite International announced it is buying the South Plainfield, N.J.-based suitcase maker for $1.8 billion. Also last week, Tumi named Erwin Penland its agency of record. The travel brand spent around $750,000 on measured media last year, according to Kantar Media. Perry Ellis International Inc., the men and women's apparel brand, has tapped Lisa Kauffman as executive VP and chief marketing officer. She'll be in charge of all marketing and creative strategies including the operation of the brand's in-house photography studio. Ms. Kauffman was formerly CMO at Celebrity Cruises, the high-end brand of Royal Caribbean Cruises Ltd.